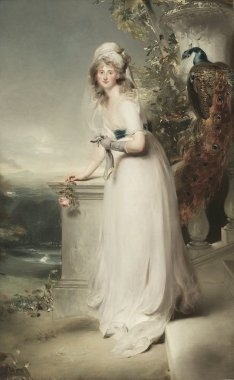 After her marriage, Anna Maria Plowden was styled as Countess of Dundonald in April 1819. From April 1819, her married name became Cochrane. He gained the title of 4th Fürst Hans Heinrich XVII von Pless. [S93] Michael Luke, Hansel Pless: Prisoner of History (London, U.K.: The Cygnet Press, 2001). Hereinafter cited as Hansel Pless. Her married name became Hanbury-Tracy. After her marriage, Ada Maria Katherine Tollemache was styled as Baroness Sudeley of Toddington on 28 April 1877. [S15] George Edward Cokayne, editor, The Complete Baronetage, 5 volumes (no date (c. 1900); reprint, Gloucester, U.K.: Alan Sutton Publishing, 1983), volume V, page 248. Hereinafter cited as The Complete Baronetage. [S15] George Edward Cokayne, The Complete Baronetage, volume II, page 254. [S1448] Alan Tollemache, "re: Tollemache Family," e-mail message to Darryl Lundy, 4 September 2005. Hereinafter cited as "re: Tollemache Family." [S3340] Kenneth Cooke, "re: Grey Family," e-mail message to Darryl Roger Lundy, 24 October 2008. Hereinafter cited as "re: Grey Family."